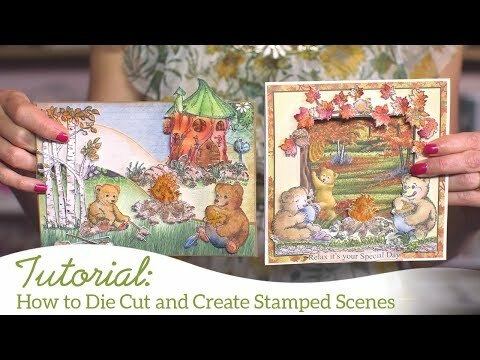 For more tips on creating with this collection watch the tutorial at https://youtu.be/DpUPW0oxiJ4. Instructions: See a close up view of this basket here. To make this basket, first create a base box measuring cardstock 8” x 8” and score 1.25” on all four sides. Now fold the sides and base box will be ready. Before pasting the sides, first cut and adhere the patterned paper on the sides, both inside and outside, with dries clear glue. Now die cut 4 Decorative Medallion Die with pattern paper using the outline die. Die cut eight Decorative Medallions from white cardstock and adhere a white medallion on each side of the medallion outline pieces. Now paste them as seen on the picture (four for outside and four for inside of the basket). Die cut eight Window Box Elements from white cardstock. Take cardstock size 1.25” x 13.5” and then paste pattern paper on both the side, and then paste four window box elements die as seen on the picture (two on top of the handle and two under the handle). And at the centre of the handle paste two leaves die from Sunflower Accents die with one sentiment from the pattern paper. Adhere one Window Box Elements on each side of basket as shown. 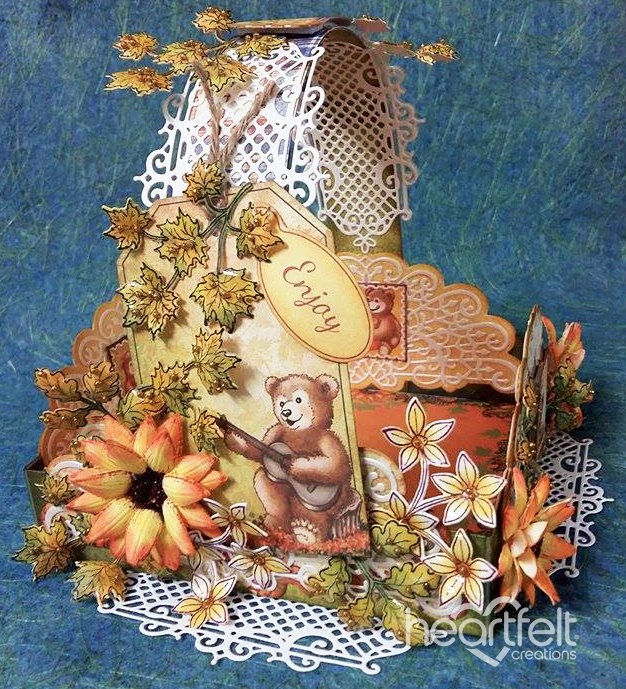 Create flowers using the Classic Sunflower stamp set using Orange Blossom Archival ink on white cardstock and diecut with coordinating dies. Color them with buttercup and use Bright Tangelo on the edges and shape them with Deluxe Flower shaping kit. Use three layers for creating flowers and at the centre use black beads with Redland Elements earth textures. Stamp various Sunflower Accents on the white cardstock with black Archival ink and die cut them with the coordinating die. Color them with Distress ink-Peeled Paint, Mustard Seed, Spiced Marmalade. Add Glossy Accents and sprinkle golden beads. Stamp two flowers from window box fillers stamp set with black Archival ink and and die cut them with coordinating die. Add one tag on the side of the handle die cut from designer paper using the Luggage and Tags die, adding jute if desired and also add sentiment. Fussy cut stamp squares from designer paper. Arrange all the elements as shown adhering with dries clear glue and 3D foam. Finally your beautiful basket is ready to gift someone special.